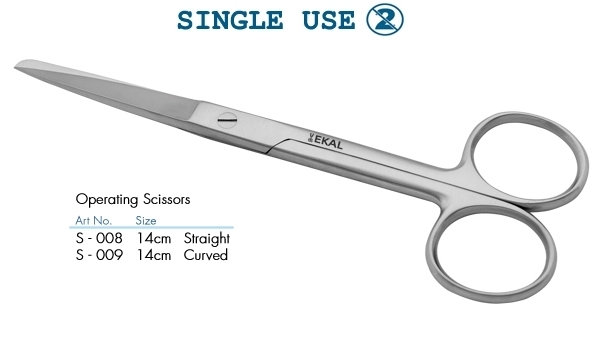 Single Use Operating Scissors made by Ekal are ideal are first aid kits, emergency kits and also for various ward related procedures. Scissors can be provided with different finishes (Polished & Matte). Ekals production capacity is 150000 pieces of scissors per month. Except forging all the processes are in-house. 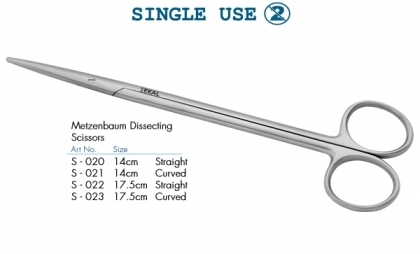 Single Use Metzenbaum Scissors made by Ekal are ideal are first aid kits, emergency kits and also for various ward related procedures. 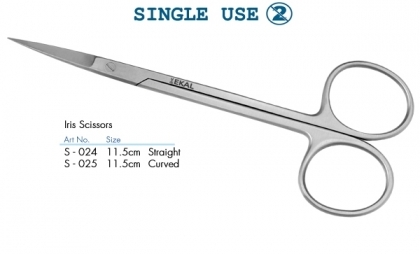 Single Use Bandage Scissors made by Ekal are ideal are first aid kits, emergency kits and also for various ward related procedures.